A confluence of factors spells steady and strong demand for offshore oil and gas support operations. The name Malthus is associated with catastrophe. That 19th century political economist is popularly — and incorrectly — viewed as forecasting that population growth inevitably would outstrip natural resources, leading to the collapse of human civilization. A modern derivative of Malthusian theory, called peak oil theory, argues that worldwide demand for oil, left unchecked (which was Malthus’ key concern), will outstrip the Earth’s supply and leave energy companies scrambling to overcome an irreversible drop in production. Proponents of this theory often refer to the oil and gas industry as being "in liquidation." If these pessimists are right, few in their target industry or among the offshore helicopter operators that support it see any indication of that liquidation happening any time soon. There are concerns about demand outpacing the industry’s ability to produce oil. "A supply-side crunch in the period to 2015, involving an abrupt escalation in oil prices, cannot be ruled out," said the International Energy Assn said in its World Energy Outlook 2007. Helicopter industry executives acknowledge the prospects for the offshore support market after about 2015 are less clear. But between now and then, they and their counterparts in the energy industry generally agree, offshore operations will remain strong and even increase. Several factors sustain their optimism. These include oil’s rising price (and the resulting record levels of offshore exploration and production) and the expansion of operations into new areas such as more distant, deepwater fields. 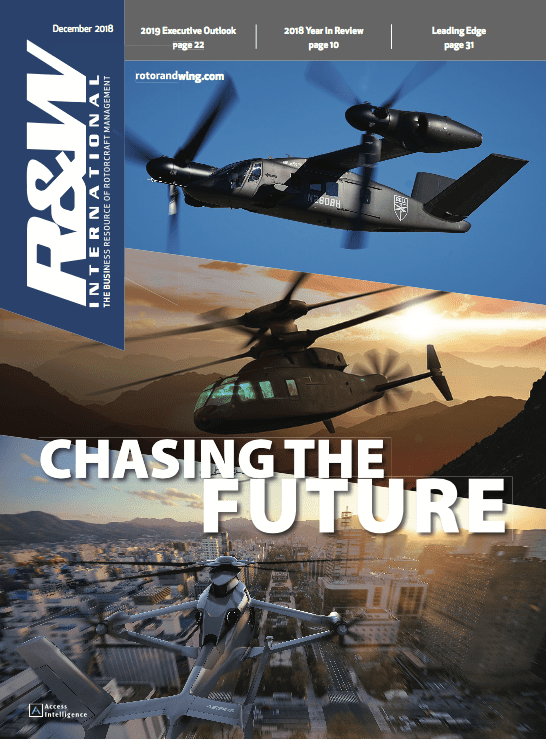 Those, combined with new energy-company standards for the safety and performance and the willingness of those companies to make longer-term commitments for helicopter support, are intensifying demand for newer-generation rotorcraft. As robust as offshore operations have been, industry officials said, the market is actually constrained by an acute shortage of offshore platforms. Dozens now are on order, with many slated to enter service next year and in 2010. They all will require support, which will increase demand for helicopter services even more. "The market has drastically changed," said Thierry Mauvais, key segment manager for oil and gas at Eurocopter. "Ten years ago, on average we delivered two heavy helicopters a year. This year, we will deliver 20 EC225s to the oil and gas segment. And we are not the only ones." Offshore support languished early in this decade five years ago, even as oil passed the commonly considered demand trigger of $40. By 2005, though, that had begun to change as oil prices continued to rise and energy companies increased production and exploration offshore. Oil hit an all-time record of above $115 a barrel on April 17 this year. A key driver of that rise is growing demand, which is not expected to abate any time soon. 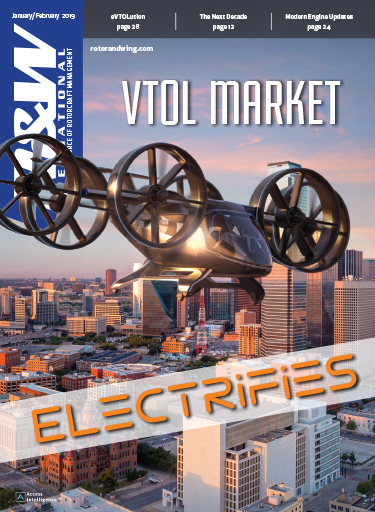 "Growth in China and India and other emerging nations that are really starting to consume oil in a big way is really driving the market," said Steve Estill, Sikorsky Aircraft’s vice president and chief marketing officer. That high demand is spurring record expenditures by energy companies. The oil and gas industry analysis firm Infield Systems, with offices in London and Houston, forecasts capital spending on offshore production alone will return to near 2006’s $6 billion level this year (after a dropoff in 2007) and pass it next year. Overall, Infield sees worldwide spending on offshore operations and equipment in Asia and Australasia more than quadrupling through 2012, to $16.8 billion from $3.7 billion. Spending in Africa will balloon 77 percent in that time, to $31 billion from $17.5 billion, it said. Latin America expenditures will jump 69 percent, to $17.6 billion from $10.4 billion, Infield Systems projects, while spending in Europe and North America is expected to rise 20 percent, to $39.7 billion from $33 billion. Infield also projects that 2,408 new offshore wells will be brought on line between this year and 2012, a 64 percent increase over the 1,467 wells installed and activated in 2003-2007. Deepwater oil production is widely considered among the fastest growing sources of oil. Some analysts are projecting that production from deepwater fields alone will nearly double, to the equivalent of 11 million barrels of oil a day in 2011, compared to 6 million last year. The deepwater operations in particular are changing the helicopter market and will continue to do so. They are expanding in the Arctic, Australia, Brazil, the Caspian Sea, the Gulf of Mexico, Russia’s Sakhalin Island, and West Africa, to name several areas. Sikorsky designed the S-92 in part to fly the longer-range flights to deepwater platforms, which can stand 200 nm or more offshore. Eurocopter has improved the Super Puma for the same reason. AgustaWestland is working on increasing the AW139’s max gross weight to enable it to carry six passengers more than 500 nm. Eurocopter is developing the 7-9-ton, 16-passenger EC175 with China’s Harbin Aircraft Manufacturing Corp. to serve the deepwater market, too. Its launch customers, which have ordered 111 aircraft, include major offshore operators. As the AW139 max gross weight increase indicates, operators are looking far beyond 200-nm ranges to offshore facilities. "In the Arctic, West Africa, Australia ranges of 500 mi aren’t out of the range of possibility," said Era Helicopters’ vice president of business development, David Stepanek. Energy companies also want dedicated search-and-rescue helicopter support for their deepwater operations. 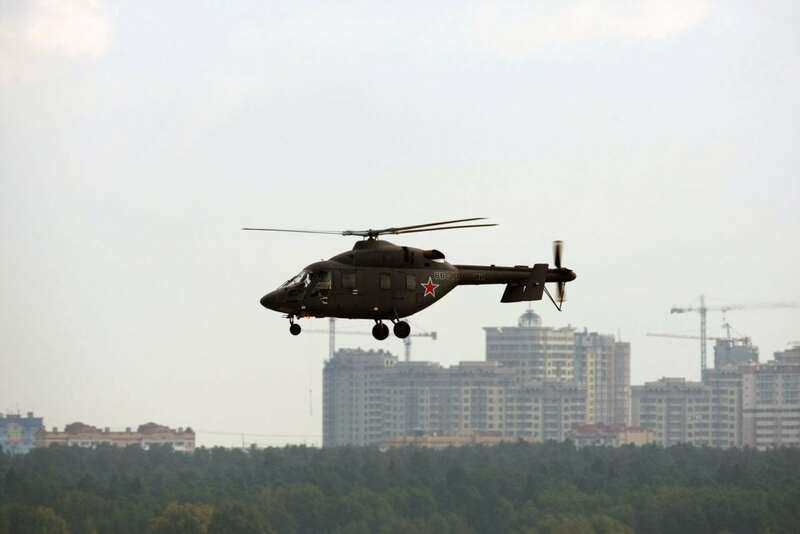 "Companies have to look for oil in hostile areas and areas where there is no SAR coverage," said Eurocopter’s Mauvais. "They have to think about their own SAR coverage." 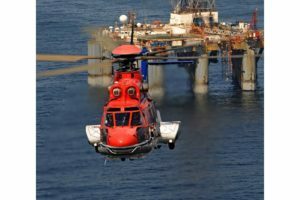 Norway’s Statoil, for instance, in mid-2007 awarded CHC Helicopter a contract to provide two all-weather SAR EC225s, to be deployed in part at Statoil’s Statfjord field in the North Sea. In 2004-05, helicopter operators kicked off what was intended as a cycle of fleet replacement. 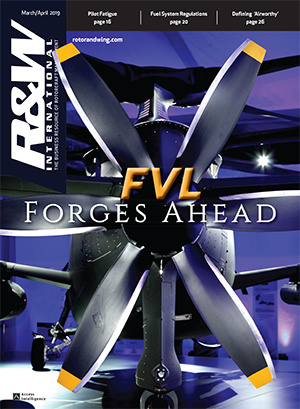 "Initially, we thought we were in a renewal phase," said Stepanek, who at the time was managing offshore sales for Sikorsky Aircraft. "But that’s not what really happened." Operators found that demand was so strong that they had to keep in service aircraft slated for retirement to service new and expanded contracts. "It’s really been about adding equipment," Stepanek said. "Attrition has been minimal." The growth in demand coincided with a shift in what helicopters the energy companies wanted to hire. 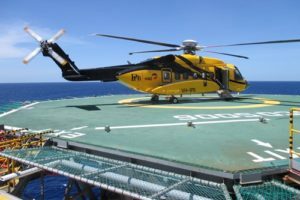 Led by the aircraft-operations arm of Royal Dutch/Shell, the International Assn of Oil and Gas Producers (OGP) embraced the idea of making helicopter flights for their employees as safe as those on international airlines. Shell’s pitch was based on reviews of numerous accident and safety reviews by outfits in Scandinavia, the United Kingdom, and the United States. Shell argued that the helicopter industry had been underfunded and complacent in improving safety and that regulatory improvements had been insufficient and inconsistent. 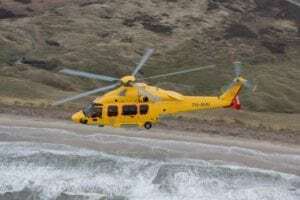 Its analysts calculated the baseline accident rate for offshore helicopter operations was 20 per million flight hours and the baseline fatal-accident rate was seven per million flight hours, with both rising. Those rates cost the oil and gas industry about $2.5 million and an unacceptable number of lives lost each year. Shell identified several needed improvements. These included using helicopters with Performance Class 2 capabilities and enhanced designs (such as improved ditching survivability) and fitted with health and usage monitoring systems (HUMS), traffic-alert/collision-avoidance systems (TCAS), and enhanced ground-proximity warning systems (EGPWS). They also included adherence to the latest standards for quality-assurance programs for flight operations and maintenance and helideck management and adoption of safety management systems (SMS) and helicopter operations management programs (HOMP). Applying these improvements, Shell estimated, would cut the accident rate to 3.2 per million flight hours and the fatal accident rate to 1.1 per million flight hours. That would save the lives of more than 200 offshore oil and gas workers’ lives over 10 years, Shell said. OGP members adopt the standards Shell recommended. In turn, they said they would pay the higher contract rates dictated by the greater design, performance, and equipment requirements. That was fed into the fleet-replacement cycle that has now started in earnest. Said Sikorsky’s Estill, "Oil companies continue to ask for safer equipment, more reliable equipment." That’s altering fleet compositions. 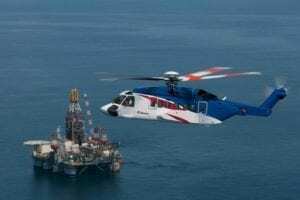 In 2005, an offshore operator might have moved a Sikorsky S-61 or a Bell Helicopter 412 "retired" from one offshore contract onto another one. Now, operators may keep those aircraft in service, but not for offshore missions. An operator may be as likely to lease or sell the older equipment. Era, for instance, has removed most 412s from its fleet. It will retain one 412 to get the type on its operating certificate, but it won’t operate 412s offshore. That trend also is spurring aircraft upgrades. 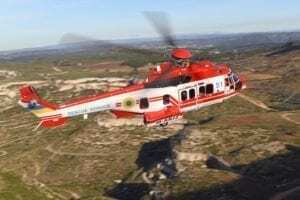 Bell, for instance, is contemplating making the 412 compliant with the European Joint Aviation Authorities’ JAR OPS 3, the latest standards for commercial helicopter operations in much of Europe. It’s easy to say you’ll pay a higher price for better equipment when you control the orders and the checkbook. But operators and manufacturers said the major energy companies have made good on that vow. "They’ve put their money where their mouth is," said Era’s Stepanek. "Some smaller companies are still just looking for cheap transportation. But clearly for the most part the major companies have committed to making this improvements." 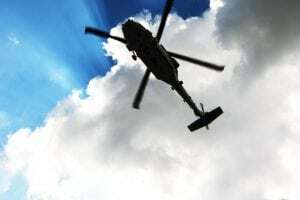 Energy companies also are committing to longer-term contracts for helicopter support, which helps operators defray the investment in the new, improved equipment.